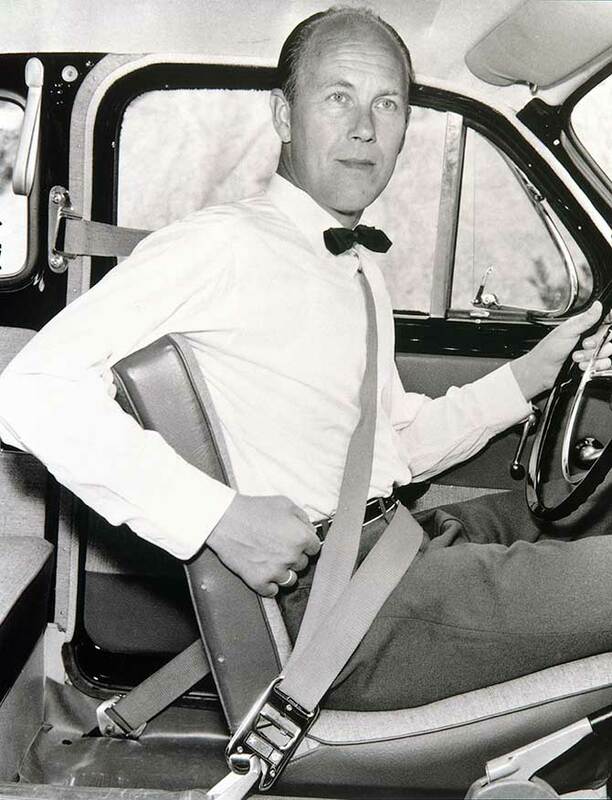 The reason the three-point seatbelt is so widely adopted is actually because Volvo opened up the patent so that any car manufacturer could use it in their design. They decided that the invention was so significant, it had more value as a free life saving tool than something to profit from. Seat belts became compulsory in the UK 1983, and since then they have saved between 35,000 and 50,000 lives. Every car manufactured today uses three-point seat belts... and it all started with a Volvo PV544 delivered to a dealership in the town of Kristianstad, Sweden.